A normal contract is an agreement between two or more parties that binds them to something in the future. 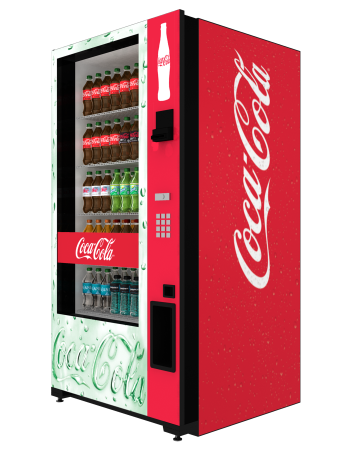 For example – Vending machine. It’s a “stupid” machine that does what it’s told and executes things automatically. It’s been around for decades! You feed in the money. Press the button. Presto! You got the bottle in your hand. Computer code, as you see, is kind of like a contract. It’s making statements and declarations. There are terms (if you do this…then…). And just like someone you trust — it even fulfills its end of the bargain! A smart contract is a contract that can be executed automatically on a computer system when certain conditions are met. The $5,000 vending machine is an extreme, theoretical example but it does hint at the problem with scaling trust. In an expanding, digital world where people can connect anonymously — trust becomes a tricky thing. We usually rely on third-parties and other middlemen for that reason. We have to. Especially if we’re moving things way more valuable than Diet Cokes. You know, like newfangled financial stuff. Or the very idea of “value” and “ownership” itself.